Leprechauns and St. Patrick's Day! Leprechaun ale also symbolic of Ireland. 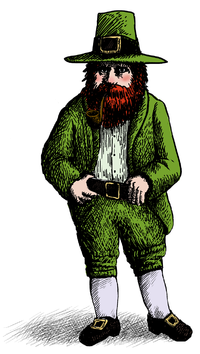 In Irish folklore, they are small Irish fairies, dressed like the bearded Keebler elves, about three feet high, with pointed shoes green vest and hat. They are mischievous and enjoys practical jokes. 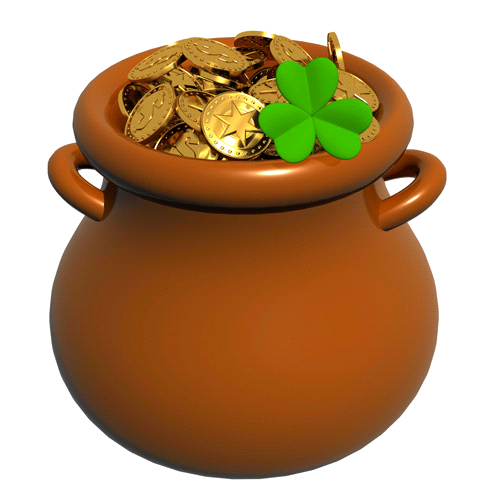 Leprechauns have a pot of gold which they hide at the end of the rainbow. If captured by a human, a Leprechaun must grant three wishes in exchange for their freedom. If the human either lets go of the Leprechaun or looks away from him, the leprechaun and his gold disappea r.
They often carry a walking stick called a shillelagh. (pronounced shill-lay-lee). According to Yeats, the leprechaun, wear red jackets, but today's folklore has them in green. The leprechaun's jacket has seven rows of buttons with seven buttons to each row. It is traditional on the eve of St. Patrick's day for children to set out traps to try to catch a leprechaun who may try to enter their house and cause mischief, usually by tipping things over. According to the tradition, one must believe leprechauns are real to trap one. If successfully trapped, the Leprechauns may grant three wishes. 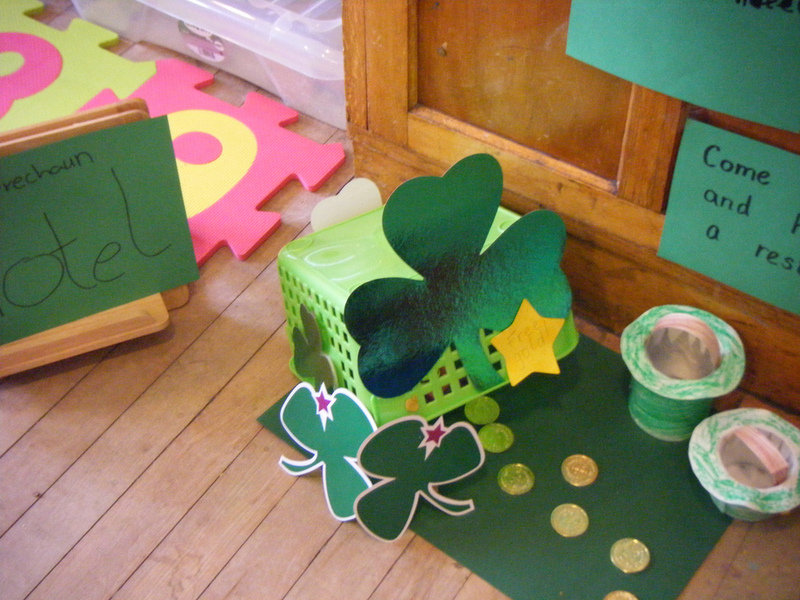 However, the leprechaun always escapes, but leaves behind some chocolate gold coins for the children. A box held up with a stick with some candy inside is a suitable trap. Some schools, pubs, websites and civic associations hold trap contests, focused on kid creativity.